Cranberry: Hey, don’t judge someone by where they live. Not only am I good-looking, but my sharp, acidic, hint-of-apple flavor is pretty tasty, especially when I am juiced, turned into sauce, dried, baked or cooked into a sweet or savory dish. I can make so many things taste oh, so good. Mo: Okay Miz Uber Confident, you got me with the ‘tastes good’ but how good for us are you? 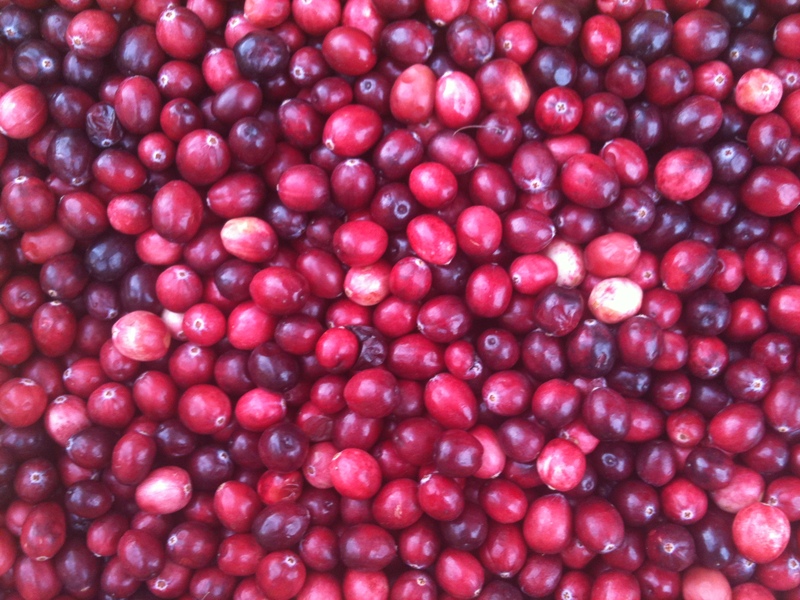 Cranberry: They don’t call me ‘super-fruit’ for nothing. I may be small but I am packed with vitamins (hello C), and antioxidants. I am not just good at preventing UTIs, but look out cancer, heart disease and cavities, I am putting on my boxing gloves and coming after ya. Mo: Alrighty then. So, we know that tomorrow (Thanksgiving) is a pretty popular day for you, as one of the mandatory sides (cranberry sauce), but do you have any other suggestions? Cranberry: Honey, I can get you thru the entire meal. I can start off as a mulled hot cider or Cosmo. Then an appy of baked brie with cranberry relish. Sprinkle me dried on top of your green salad. I can glaze your turkey, appear in your stuffing, swap out the sauce for chutney, for a bit more punch, and then how about an apple-cranberry pie to cap it all off? Shall I go on? Mo: Oh no, quite alright. I think we get the idea. 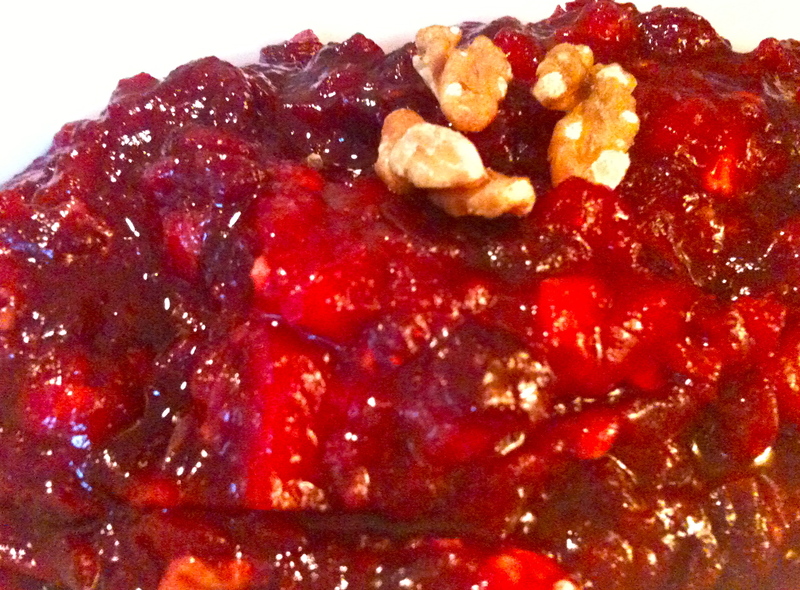 For us traditionalists, can you share a recipe for Cranberry Relish? 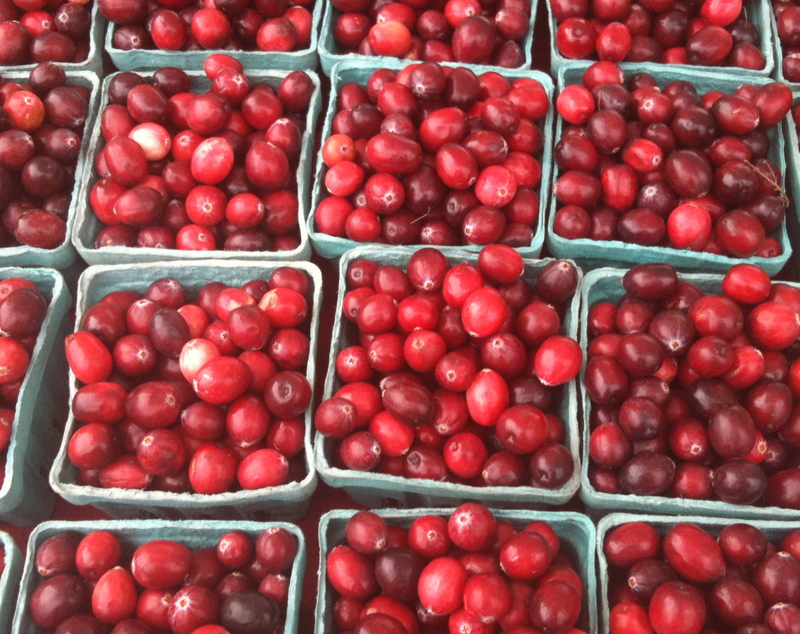 Cranberry: Absolutely. But so as not to go unnoticed, here is my kicked up version. 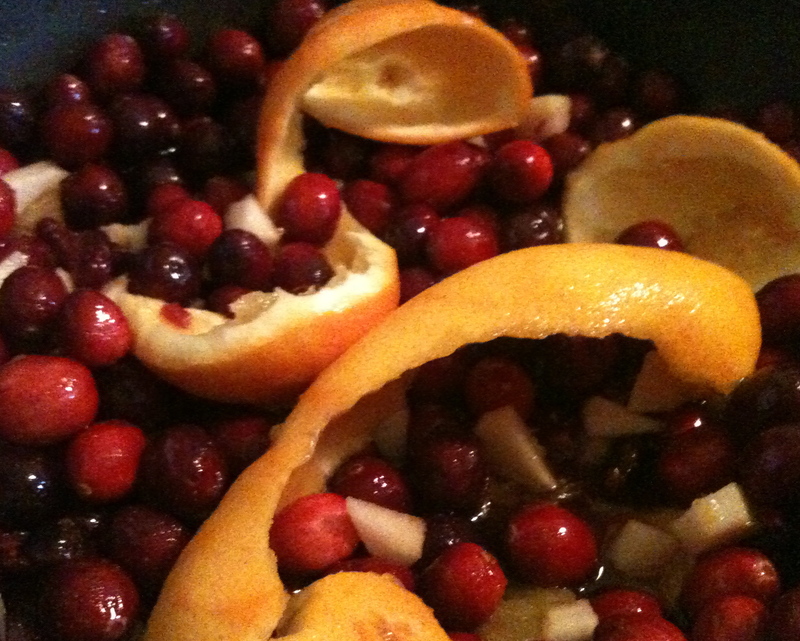 Combine all ingredients, sans walnuts, but including the peel of the orange (really adds to the flavor) in a saucepan. Bring to a soft bubble via medium heat. Reduce to low and simmer for 15 minutes, stirring occasionally. Bring to room temp, remove the orange peel, and then store in fridge until ready to serve. note: can be made days ahead or if ya spaced, the day of. This entry was posted in To Market with Mo and tagged apples, bog, Chicago Area farmers marekts, Chicago Farmer's Markets, cranberries, cranberry, cranberry sauce, Evanston Farmer's Market, Farmers Markets, fresh seasonal organic produce, Glenwood Sunday Market, Green City Market, moira's blog, Thanksgiving, to market with mo. Bookmark the permalink.